READ THE WHOLE RECIPE BEFORE DECIDING ON METHOD! 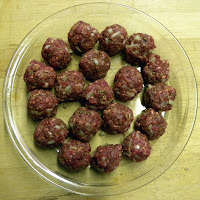 Shape into balls (12-16 depending on your size preference) and arrange in a circle(s) in a 9 or 10-inch glass pie plate. Cover with wax paper. Microwave on High 6-8 minutes, rotating dish 90 degrees after 3 minutes, until done. 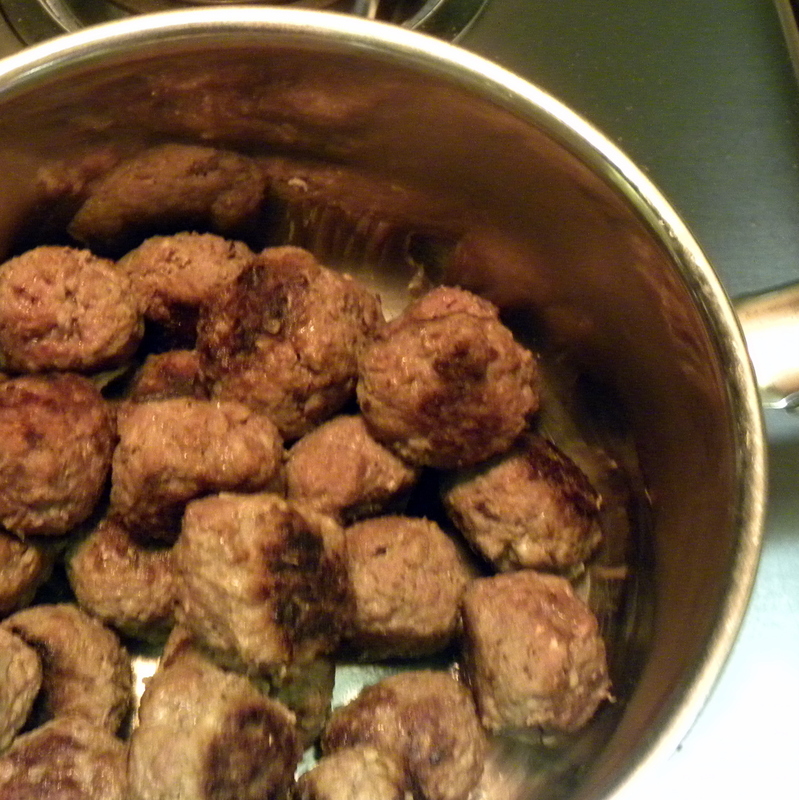 Remove meatballs from pan and place on paper towels to drain off as much fat as possible. Serve in spaghetti sauce. I used to make these quite a bit and no one complained (not sure anyone kissed the cook either). 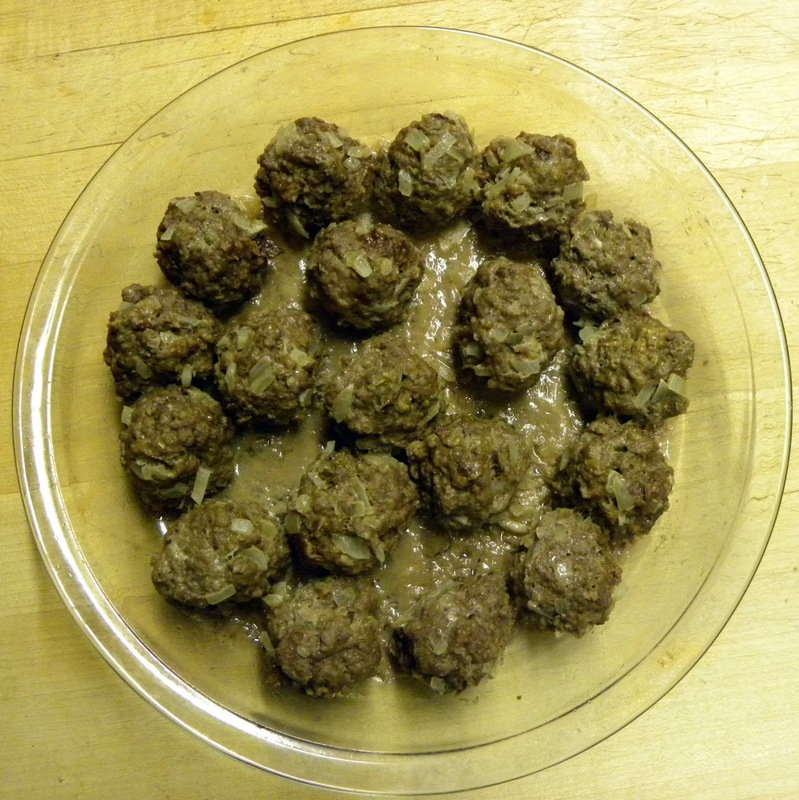 In January (2011) we were in New York and Christopher made us fresh pasta with a pan fried meatball sauce. In February when we were in Colorado, I made buffalo micro-meatballs and served them with packaged spaghetti. A poor reprise in all regards. But the real disappointment was the meatballs. 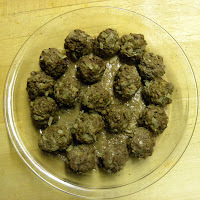 As Ed noted, a microwave cooks from the inside out so it is hard, almost impossible, to get the meatballs cooked on the outside and reasonably rare on the inside using this technique. The following week, I tried again. 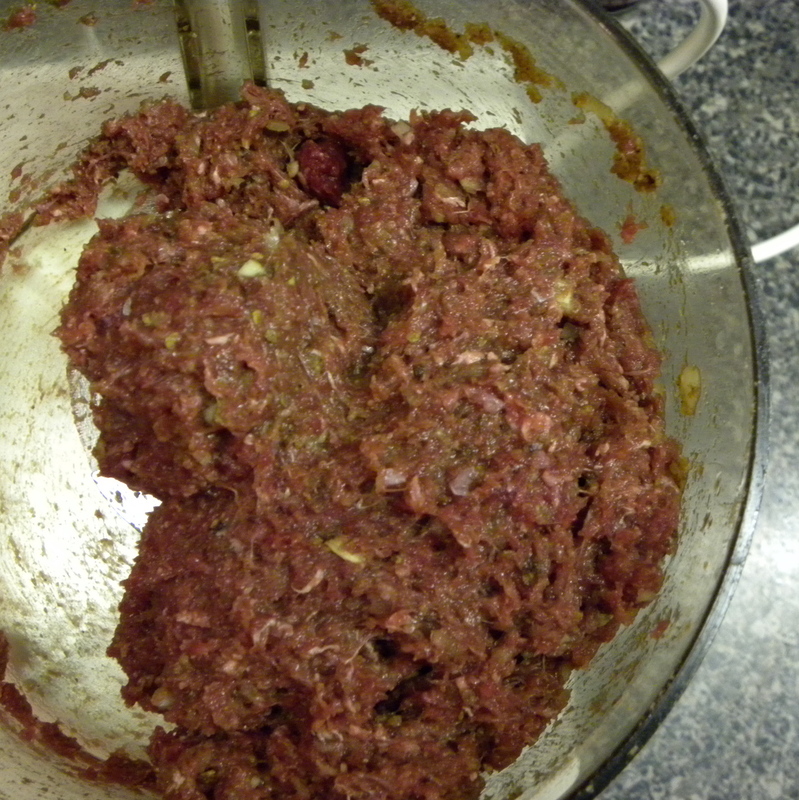 First using a food processor (as Christopher had done) rather than lazily chopping the onions. 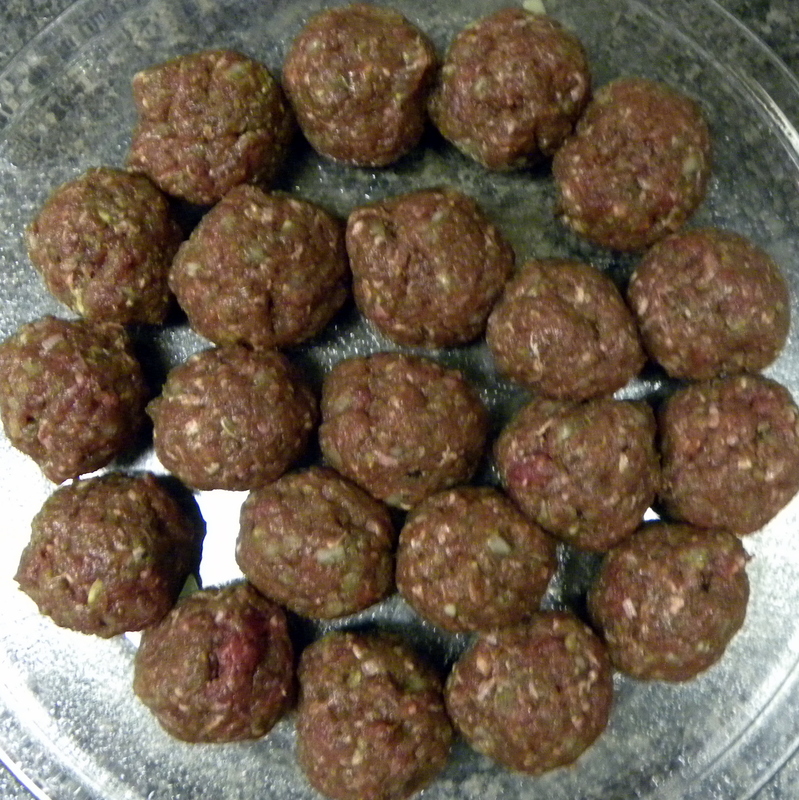 The results were much more consistent meatballs (see photo above left). I then pan fried the meatballs until they were well browned on the outside but still pink on the inside, again a definite improvement! The micro-meatballs may be quicker and definately less messy, but I will be using this stove top cooking method going forward.